A number of reports have surfaced on the internet pointing out that Apple is planning to unveil three new iPhones this year. Some of these reports also state that out of the three planned iPhones, one variant will come with an IPS LCD display while the other two variants will sport high-end OLED display panels. As per a report by 9to5Mac, KGI Analyst Ming-Chi Kuo has revealed a few more details about the 6.1-inch LCD iPhone model. This variant of iPhone will not come with 3D touch technology. 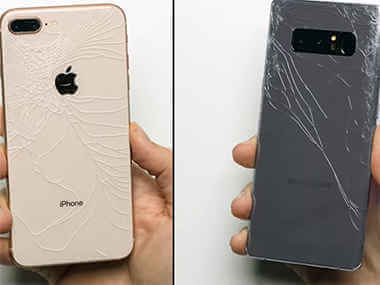 The report also said that Apple will make use of a stronger display glass which will be lighter and more impact resistant. It will also have a thin-film sensor in addition to the touch film sensor. The report states that there is no clear indication as to why this layer is present but it will increase the cost of the touch panel by 15 percent. This iPhone variant will also reportedly use a CGS (Cover Glass Sensor) process which would make the glass thinner. The report goes on to add that all iPhones variants will start using the CGS process by 2019.